Read Sunrise windows reviews from customer, contractor and industry professionals on their prices, models or series and customer service. I currently have the Pella Impervia windows on the back part of my house and the Sunrise Restorations on the font. The Restorations look much nicer and have more features on them – I would have put the Restorations throughout the entire house except there wasn’t alot of color choices, whereas the Impervia had a brown interior and exterior finish color. I’m happy with both windows though, they don’t leak and they do a great job. Sunrise makes a very good casement window, the engineering and quality is as good as I’ve seen. Sunrise also uses a solid glass package (Cardinal glass). There are a number of good casements in that mid range price, but they are one of the companies on my “good” list. I’ve probably installed over 100 jobs since 2004 using Sunrise and have only ever had 2 service issues. Back in 04 and 05 I was a bit mixed on the quality of their windows, it has REALLY improved over the years. The first issue was a hardware defect with a small bathroom window that I never could seem to get right. Sunrise eventually shipped out a new frame, complete with the hardware and I swapped it out. This was fine for a couple of years, but now there is a little issue – so maybe it was a bad install on my part. The only other issue was a bad handle – but I have some extra ones from over the years so I swapped that out myself. I install other brands that I trust (and like the customer service). At this point, I lay out Sunrise and my other “favorites” and let the homeowners choose based on seeing different models. But, in general, I feel comfortable recommending Sunrise to homeowners looking for a solid vinyl window (obviously given correct and complete installation). We recently had 30 Sunrise windows put into our home. We went with the tilt in sliders because of how easy it is to clean. I have to say that sliding them takes some effort with the weatherstripping, but it’s not that big a deal. We also had some issues with the grids on several of the windows, which was really the fault of the salesperson — in fact, the company I bought the windows from have been absolutely no help. When they installed the windows, they didn’t catch the fact that several of them didn’t have the self-cleaning glass. So they are now installed and the company won’t do anything about it. Sunrise has actually been great. They said they would replace or swap out the 3 windows that were incorrectly installed, even though I’m pretty sure it was a screw up on the ordering end. I feel like they have really stood behind their work. Now if they could just drop the company I bought the windows from. Bottom line: Manufacturer was good – distributor kind of blew it. 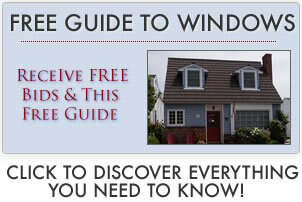 Read additional Sunrise window prices. The Essentials is a good “drop” windows. They are one of the easier when it comes to installation, so there are less places for errors. I have installed quite a few. I like the warranty on the Essentials, the company seems to stand behind it for the most part. The recommendations I would make for buyers is to upgrade to the window with the omega12 glass. It looks much better then the Essentials – most customers feel it is a good investment once they see the two side by side.